Steven Raichlen’s Project Smoke, the first how-to series to focus on smoking virtually every type of food, will premiere its third season on public television starting Memorial Day weekend. Project Smoke stars live-fire cooking expert and author Steven Raichlen and is presented by Maryland Public Television. Project Smoke brings the art of smoking and grilling from the competitive barbecue circuit to the American backyard. 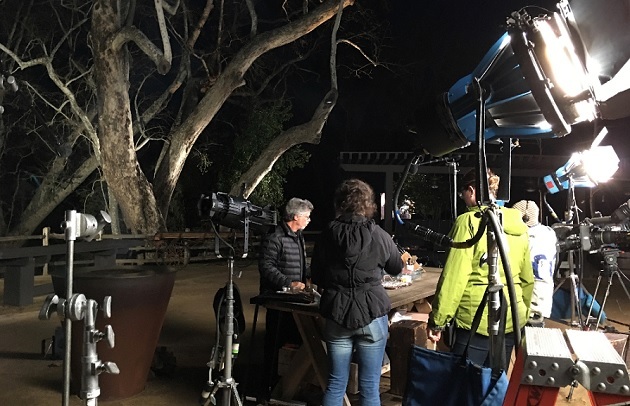 The new season was recently filmed at the gorgeous Alisal Guest Ranch and Resort in California’s historic Santa Ynez Valley in Santa Barbara’s wine country, and features the use of a new collection of grills and smokers, including a wood-burning plancha style grill, an infrared grill, a Brazilian-style rodizio, and a smoker cabinet. This season’s 13 episodes will offer new smoking techniques, such as herb smoking with a blowtorch and bacon cured and smoked like pastrami. There will also be a renewed emphasis on grilling for fans of Steven Raichlen’s popular Primal Grill series and viewers who may not own smokers. In its third year, Project Smoke goes global with episodes on Mexican, South American, and Pac-Rim smoking and grilling. Series fans can look forward to episodes with titles such as the BBQ Holy Trinity, Perfect Hog, Extreme Smoke, Hot Stuff, and Water Meets Fire. The coming season includes all-new recipes for Korean pulled pork, caveman lobster, Yankee porchetta, and smoke-grilled monster tomahawk steaks, to name just a few. Visit stevenraichlen.com for more details. For airtimes and a list of stations that are carrying this exciting new season, to www.projectsmoke.org and click on the “Find Local Broadcast” tab on the right of the screen. (You’ll be directed to input your zip code.) If you are interested in seeing Project Smoke in your area, contact the programming department of your public television station.